As a leader in industry, your company is always looking for new ways to innovate. Your goal is to maximize growth, ultimately creating local jobs and opportunities for farmers and processors. At Ontario Agri-Food Technologies, we’re at the forefront of championing the commercialization of agri-food and bio-based products. We focus on ensuring that Ontario producers have access to the latest science and engineering breakthroughs to compete globally and develop new markets. Whether our renowned experts are developing and coordinating research programs at Ontario universities, educating people about the value of technologies in the agri-food sector or raising awareness around the globe, our clients benefit from our vast biotechnology and business knowledge and experience. Looking for hands-on assistance? 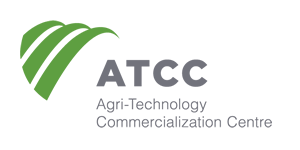 At Ontario Agri-Food Technologies, we assist entrepreneurs with learning to write grants, support key research and product standards testing, and fund business-to-business meetings with the potential to forge million-dollar deals.